A revolutionary device, the OOV is ergonomically designed to complement the 3 curves of the spine and mimic natural movement. Developed by Australian Osteopath and Neuroscientist Daniel Vladeta who saw a need for a self-correcting device that would embed motor learning. The OOV is an unstable, proprioceptive, bio-feedback tool, that re-patterns and enhances efficient movement. The OOV Courses explore how using a device like the OOV can facilitate Functional Movement and create stability through improving mobility, focusing on exercises and training methods that continue to evolve with the latest research and our understanding of the body. 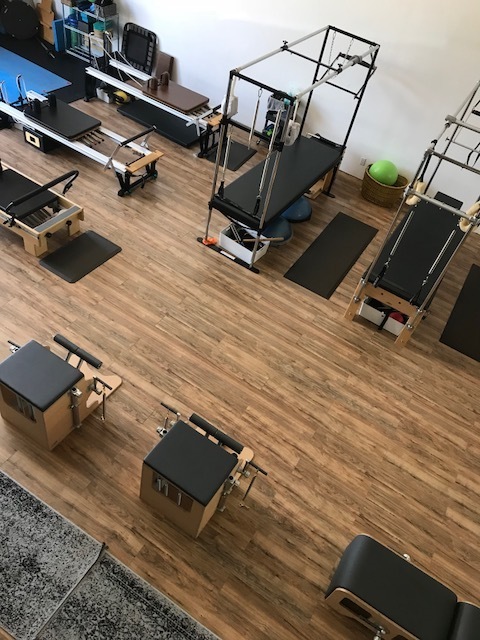 Incorporating traditional Pilates exercises applied to the OOV and Balance Training, the course teaches you to Assess Correctly, identify where Instability and Restriction exist in the Body, and how to develop Strategies to Promote Improved Motor Control, Strength, Endurance, Proper Alignment and Increase Dynamic Stability through the 3D Activation of Myofascial Slings. The OOV is an experience and will change your daily practice and view of Functional Alignment. Let's fill it up P/oP! You may have noticed the toy box in our lobby. 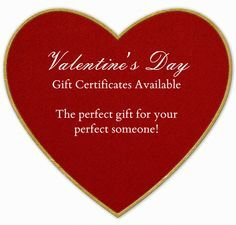 This will be available until December 21st. Please consider donating new, unwrapped, non-battery operated toys for children with autism and special needs. 5 more days to Kick It Into Gear! Support local vendors on Small Business Saturday! 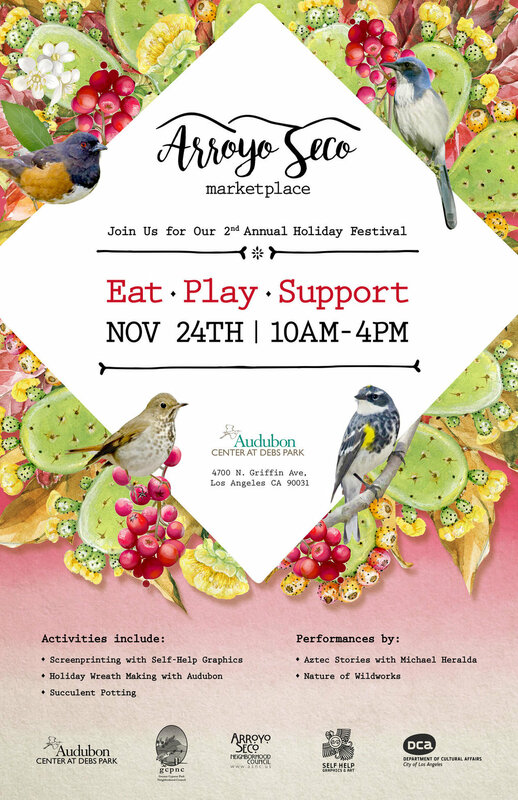 Visit the 2nd annual Arroyo Seco Marketplace on November 24th from 10am – 4pm. What better way to get ahead of your holiday shopping and support local small businesses and vendors than with our nature themed vendor booths. They’ll have food, music, activities, and programs running all day long for the whole family. Stay throughout the day and participate in their raffle. Explore the marketplace--you're bound to find something for everyone on your holiday list! "When I started counting my blessings, my whole life turned around." 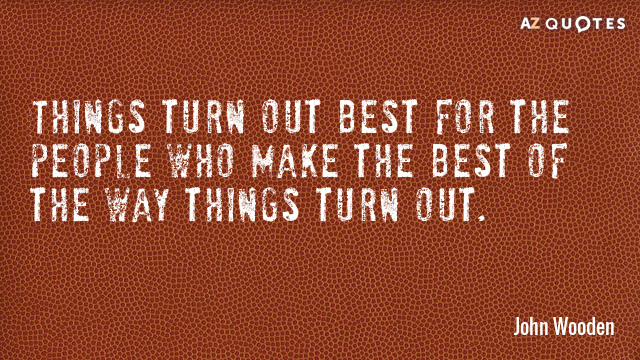 Thank you to all our P/oP family!! For voting us Best Pilates Studio for 2018!! We have made the Best of List in 2016, 2017 and now 2018 thanks again to you! And your kitchen with effortless sounds and bread recipes that will carry you through the season. Pumpkin Decorating with all natural materials! Plus the Pumpkins are provided. Saturday, October 6, 10:00am-12:00pm. Enrollment includes admission to the Arboretum and all materials. Pre-registration required for all classes. Research has advanced our understanding of core stability, including the need for different stimuli to optimally develop strength versus stability. This workshop will provide numerous exercises and progressions to create the high intensity overload that has been shown to be ideal for fostering core strength. This will be the first presentation of this work outside of a conference format and the only class Karen Clippinger will be teaching in California for the remainder of 2018. It will incorporate large exercise balls and rotator discs into classic and novel reformer exercises for development of multi-planar core stability that will be discussed, demonstrated, and individually practiced. Particular emphasis will be placed on the use of rotation because of its common association with functional movement and injury. Join Karen and a dedicated group of instructors in an intimate workshop that is part of an on-going education based on the science of the body and its practical applications. This workshop is appropriate for reformer (only) instructors and all levels of teachers and practitioners. Great class to attend at McDonalds Urban Farm in Altadena!! This class will cover all you need to know to start raising your own backyard urban chickens. TOPICS INCLUDE: CHICKEN BREEDS (FOR PERSONALITY AND EGG COLOR), PURCHASING AND RAISING DAY-OLD CHICKS OR MATURE CHICKENS, SAFE COOP DESIGN FOR YOUR CHICKENS, RULES FOR PASADENA/ALTADENA/SURROUNDING AREAS, BEST FEEDING PRACTICES, AND THE REWARDS OF BACKYARD CHICKEN EGGS. Class includes a farm to table snack and a farm tour for $25. Adults and children age 8+ welcome. And never forgetting the heroes. 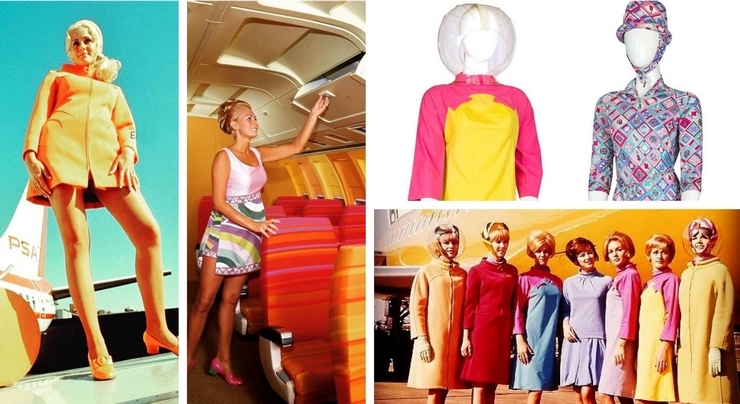 “Welcome Aboard The Friendly Skies: The Art of High Altitude Travel,” on Saturday, August 18. The Friendly Skies exhibit will showcase the finest heirlooms of 100 years of air travel in a striking Jumbo Jet stage set, featuring vintage airline memorabilia and collectibles from a time when traveling aboard a luxury airliner was a magical experience. The exhibition, which is on until September 23, will bring together original lithographs and paintings of classic travel art, industrial and commercial aircraft models, and high-flying haute couture in a flight attendant fashion show. Memorial Day is often seen as the start of summer. People make plans for barbecues, picnics and perhaps head to the beach. In our varied communities people still honor the true meaning behind the holiday. Flowers are an important symbol of Memorial Day. Many people leave flowers on the graves of fallen veterans. And one flower, in particular, has come to represent the somber holiday. The poppy is officially recognized as a symbol of remembrance. 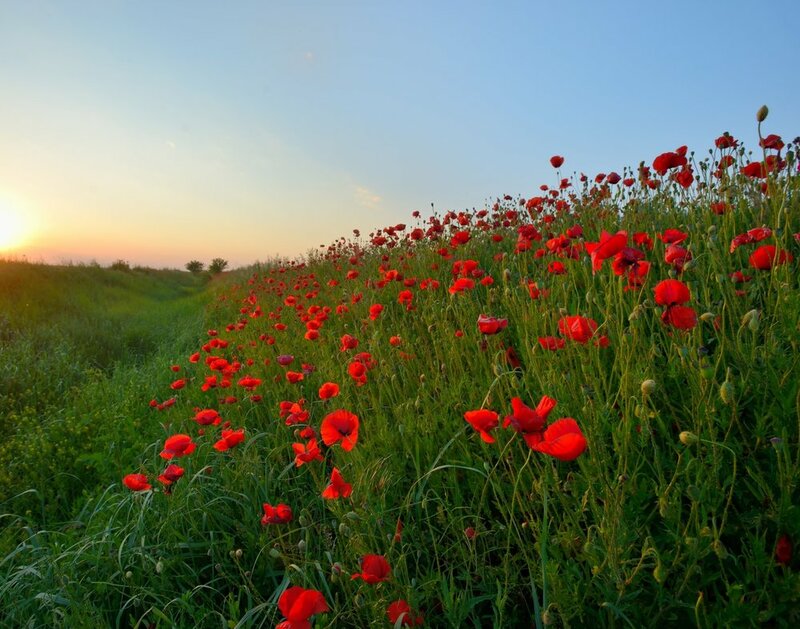 The Memorial Day we celebrate today was merged with the wearing of poppies in 1915 after the publication of the poem, In Flander’s Field, by Lt. Colonel John McCrae, following the second battle of Ypres. Pilates of Pasadena staff thank all of our military personnel and veterans for their service to our country. A copy of the poem can be found at the end of this blog. Maria and family recently visited Wolf Mountain Sanctuary. It is a sanctuary for rescued wolves located in Palmdale, and is primarily dedicated to saving the threatened species while lending a helping hand to at-risk local youth. It is also one of the few wolf sanctuaries that hosts interactive wolf educational tours. Everyone learned about the wolves, about their life in the wild and most importantly, why save the wolf? A wolf is so noble, so beautiful. The wolves, as well as other endangered species, are ecological indicators. It is by studying these species and learning how to preserve them that we learn the main factors affecting our environment. Yes, you get to actually touch a wolf and could most likely get kissed by a wolf … if you want to! !